Yesterday, just yesterday, I visited my friend’s house to watch the Superbowl. I was 21 and had a brand new baby. Wait…that wasn’t yesterday? Sure seems like it. 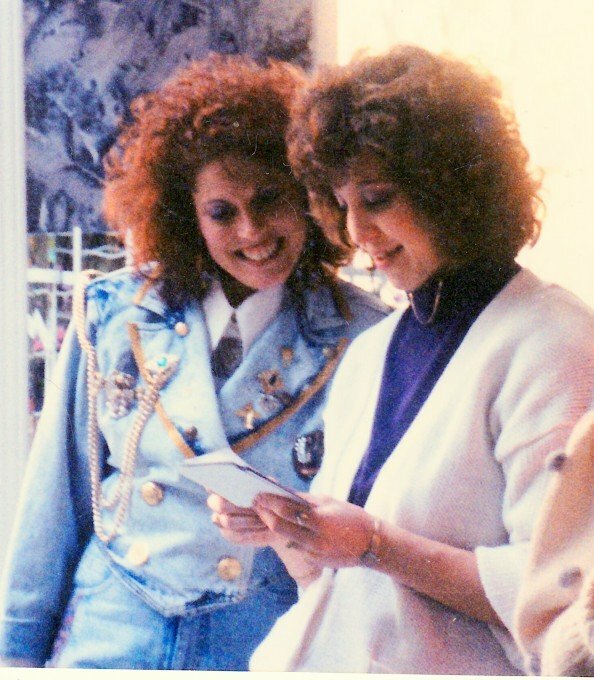 I remember that day because my friend, Janis, had made a broccoli casserole that was to die for. 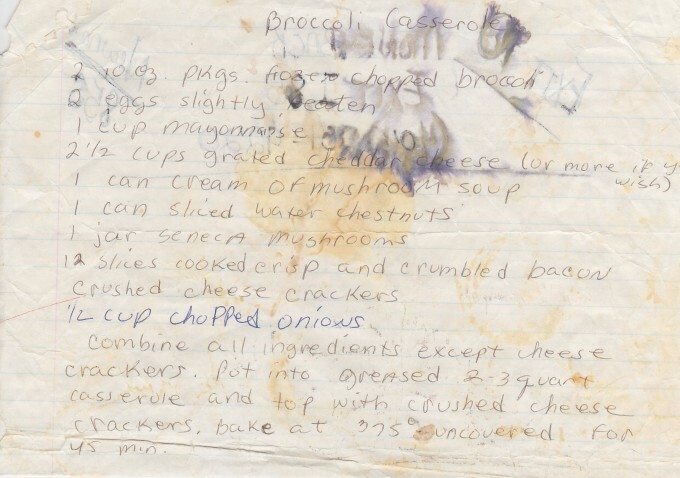 She gave me the recipe and I’ve been making it ever since…for 24 years now. And that baby…well, he is all grown up. Man, when you say time flies that’s such an understatement. It’s just gone, in nanoseconds. But the broccoli casserole is what this post is all about. It is my absolute favorite…Cheddar cheese, rich sauce, crunchy water chestnuts, crispy bacon, all topped with crumbled cheese crackers. It is amazing! It goes right along with my Best, Cheesiest Macaroni and Cheese because you can never have enough cheese, right? Ok, you can but we have it all on Thanksgiving Day so the calories don’t count. The best part about this broccoli and cheese casserole is how easy it is. Everything is dumped into a large bowl, mixed together, and then baked. The only thing I do differently from the original recipe is that I make a cream sauce rather than use cream of mushroom soup. But it’s fine with the canned soup and certainly much easier. I just like the richer flavor of a homemade cream sauce and I like to control the sodium content. 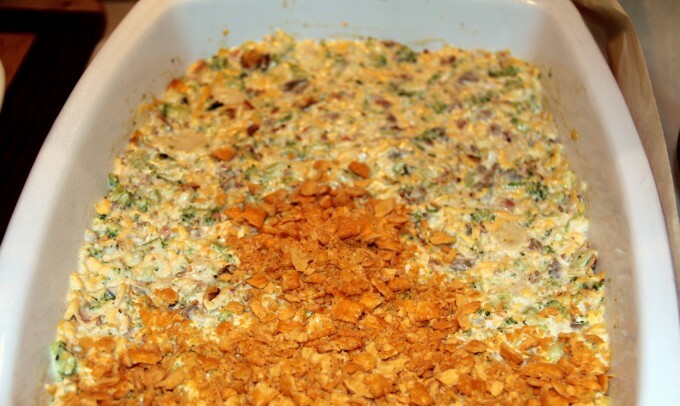 You can mix up the broccoli and cheese casserole the day before you need to bake it and add the cheese crackers to the top right before baking. 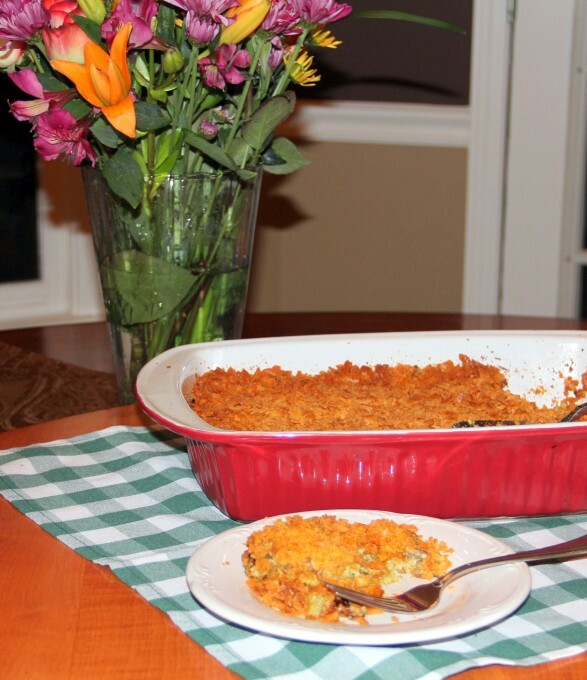 This is a great do-ahead dish for Thanksgiving or a dinner party or a church potluck. 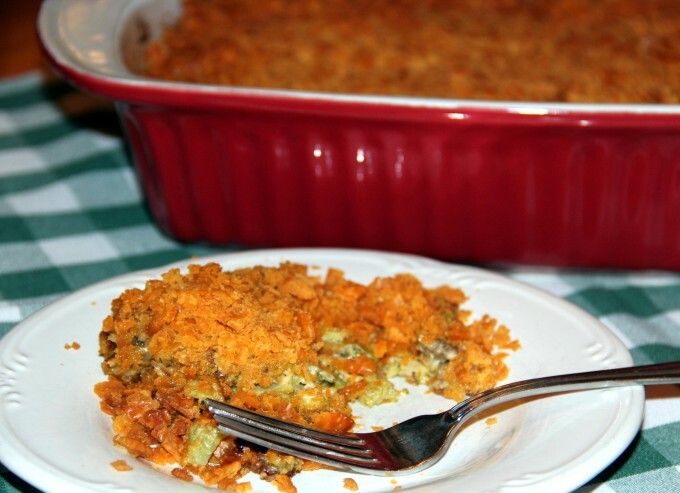 The best broccoli and cheese casserole with bacon and topped with crumbled cheese crackers is a kid-friendly and adult favorite for any menu. Melt butter in a saucepan over medium-low heat. Whisk in flour and continue whisking until smooth and bubbly. Slowly whisk in cream, salt, and pepper, and continue whisking. Bring to a gently boil and then reduce to simmer, whisking until thickened. Combine all ingredients except cheese crackers in a large bowl and mix well. Scoop into greased 2-3 quart casserole dish. 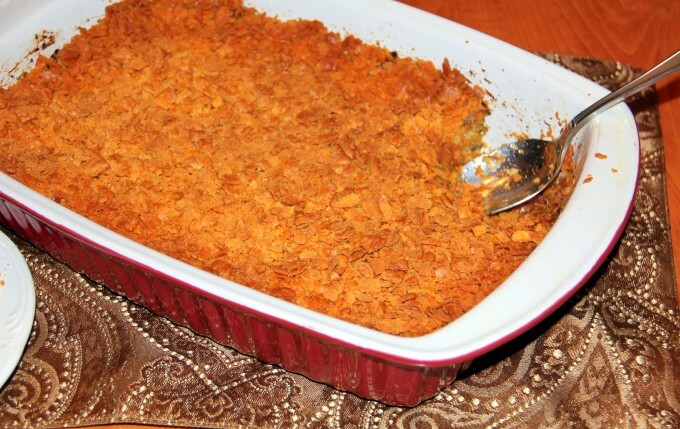 Top with crumbled cheese crackers. Bake uncovered at 375 for about 45 minutes or until set and top is slightly browned.